iPhone Repairs Perth - Mobile Phone Repairs Perth | Fix in 30 Mins! Over 25,000 Device & Phone Repairs! Our Experts offers a mail in repair service with FREE registered posting all around Australia. Express courier service in Perth WA. We are experts in Data Recovery and we have experienced technicians who can physically repair them if required. Looking for phone repair specialists in Perth? Device Expert guarantees quality work with a quick turnaround. We treat each device as one of our own, taking the utmost care when disassembling it, fitting new parts and reassembling each device to factory specifications. Our iPhone repairs Perth experts are trained to repair to perfection, whether you have a cracked screen, need screen repair, battery replacement, glass replacement or a faulty headphone jack. As professional phone repair specialists, we are experts in replacing damaged screens, phone screen repair, cracked screen repair, screen replacement, broken LCD, cell phone and computer repair. Each repair is carefully performed at our mobile repair shop to not only get the device working with a fix screen but to ensure that it will last longer. Any smart phone Perth technician (or Apple store) will tell you an iPhone screen repair is a common fix, whether it’s fixing the home button, power button, the LCD screen, water damage repair or even just a shattered screen. A glass screen might seem like a stable screen protector until it’s dropped resulting in a broken phone leaving a technician to repair it. As mobile phone repairs Perth experts, we specialize in cell phone screen repair, glass repair, charger issues, cellphone gadgets, microphone issues and all other electronic repairs on Apple products. If you looking to diagnose, or unlock your electronic device, bring it and we will tell you on the spot what cellphone repair option you are looking at. Our same day service will include a complete diagnostic of your broken cell phone and exactly how we will fix it. Our repair shops in WA fix all cell phone models including the Samsung Galaxy, Galaxy S3, Galaxy S4, Galaxy S5, Galaxy Note, Blackberry, Nexus, Nokia, Xperia, Motorola and more. We have repaired over 25,000 devices and that number is growing dramatically by the day. We are experts in this field and can rapidly assess a faulty mobile phone to understand where it needs to be fixed. Device Expert guarantees a high-quality of work and quick turnaround time. Our mobile phone repairs Perth technicians are trained to effectively repair phones where each component is carefully repaired to ensure the device will no longer provide an unpleasant experience. Through our smartphone repair services, our goal is to make you believe your smartphone is brand new on return, as we strive to completely repair the phone back to its default stage. In addition to cell phone repairs, we also specialise in all Apple devices and data recovery. We are experts in iOS software and know how to repair Apple devices such as the iPhone, iPod, tablets and more. As iPhone repairs Perth technicians, we deal with cracked screens and screen replacement services every day. We have experience in repairing the user-interface, multi-touch screen and virtual keyboard of iPhones. We also repair issues regarding Wi-Fi problems and whether your smartphone can successfully connect to cellular networks. Looking to get your iPhone 8 or iPhone X repaired? Or perhaps you have an older version that you are experiencing problems with. We can repair issues regarding wireless charging, processor issues and more. When your mobile device is no longer responding or has been smashed, it becomes impossible to sell your phone without a professional electronic repair. Whether it’s LCD replacement or new screen protectors, skilled phone repair experts are needed to repair cell phone parts in no time. Our mobile phone repair store fixes tablet repairs, samsung repairs such as the Samsung Note, Nokia Lumia and any phone tablet or electronic devices. Because we are based on Hay St, we are in the centre location for the majority of our customers within WA. The location of a cell phone repair shop (or any phone repair shops) is important because if you want your cell phone to get repaired on a reasonable timeline, you should always choose a mobile phone repairs Perth shop that is in your area and that you know can do the job. We specialize in servicing broken glass, iPad repairs Perth, touchscreen issues, fingerprint and sim card problems, screen fix, a faulty phone charger not working, and get your gadget back to you on a reasonable timeline using original replacement parts. Common troubleshooting may not be a solution for cellular repair, therefore, a cellular phone may need to go through a reassemble process to determine why it may be unresponsive. Book an appointment today, we can repair your iPhone 3G, Xperia Z, HTC One, and other HTC phones. We are easily accessible which can save a great amount of time when trying to get your phone fixed. In addition to being near your area, we also offer a pick up and drop off service where a representative of Device Expert will come to you and collect the phone and re-deliver it once it has been fixed. We are a phone repair shop based in West Perth and service the entire Perth region including East Perth, North Perth, South Perth, Perth CBD, Northbridge, Subiaco, Leederville, Mount Lawley and more. Our highly skilled team can repair devices including Sony Xperia, Samsung phone, Motorola phone, Samsung, HTC phone, Galaxy Mega, iPods, Google Nexus, Galaxys, Galaxy Tab, Galaxy Note 4, Samsung phone repair, Console repair, and Sony Ericsson. Our mobile phone repairs Perth service also restores phone batteries and speakers nationwide, as well as Bluetooth and phone data or any damaged phone ports that you may want to be fixed. We can also perform a factory reset to get your device back in working order. In addition to fixing your phone, Device Expert has been specializing in data transfer for a new phone and used cell phones for years. Whether you are looking for repair parts for used phones our well trained phone repair Perth team can give you a free estimate on the damages and what it will take to restore your device. Device Expert is your one stop shop providing the fastest high-quality phone service nationwide. Are you looking for iPhone repairs in Perth? As phone repairs Perth specialists, we know exactly what any apple ios device needs in order to be fixed. Our team has significant experience in cracked screens and screen replacements for iPhone smartphones. We specialise in iPhone 6 and 6s screen replacement and will have your smartphone looking brand new through our efficient repair and refurbished services. Whether you have an iPhone 4s, 5s, 6, iPhone 6s, iPhone 7, Apple iPhone 8 or x, our team is equipped to get the job done and provide a quick phone repair service. We also repair computers and any other Apple device you need fixed. If you looking for iPhone repairs Perth experts, you in the right place. What iPhones work with Airpods? When Apple launched the iPhone 7 series it did not have a headphone jack. 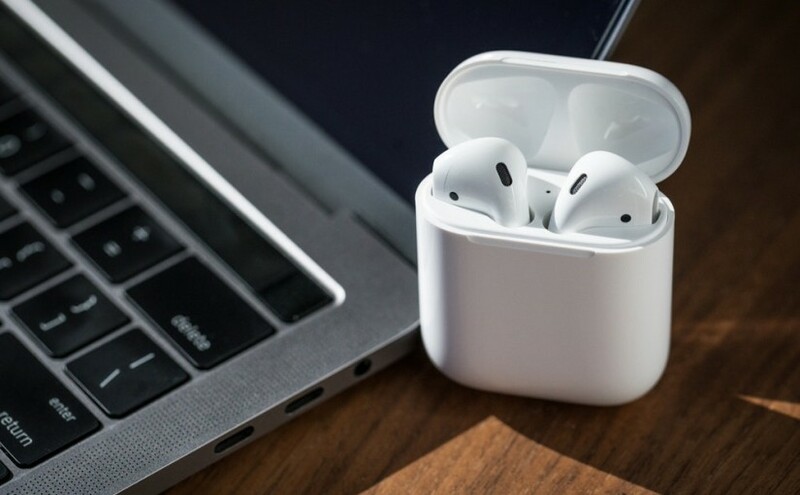 They introduced Airpods which are wireless headphones to compensate for lack of the traditional phone jack. These small devices have revolutionized the way people listen to …..
Is the iPhone 8 Plus Waterproof? As iPhone Repairs Perth technicians, a question we get asked constantly is, is the iPhone 8 Plus Waterproof? New iPhone models are being unveiled in the market constantly meaning phone manufacturers must keep up with the competition while satisfying the consumer’s demand. Mobile phones …..
iPads offer brilliant services. Their appearance and features are breathtaking. However, with additional accessories, the device is better protected and more functional. These iPad accessories are well compatible with the iPad hence do not affect their functionality. Below are some ….. Losing stored data from your iPhone is very frustrating especially when you had not made a backup of all the data stored in it. 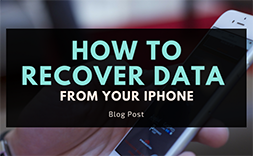 It is advisable to back up iPhone data with iTunes or iCloud, this way recovering it would …..